This Mix is: Made with real brown sugar. 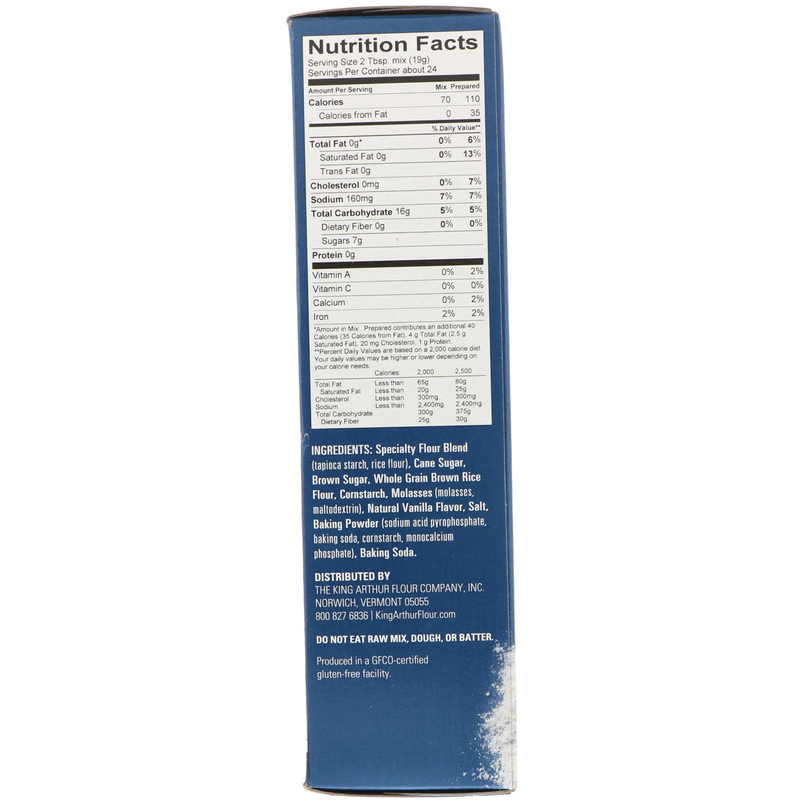 *To make non-dairy: use vegetable shortening. No Compromises: Our mixes are carefully crafted in our test kitchen through meticulous taste-testing (it's a tough job, but we're up to the challenge!) and blending to replicate our favorite recipes. The result? 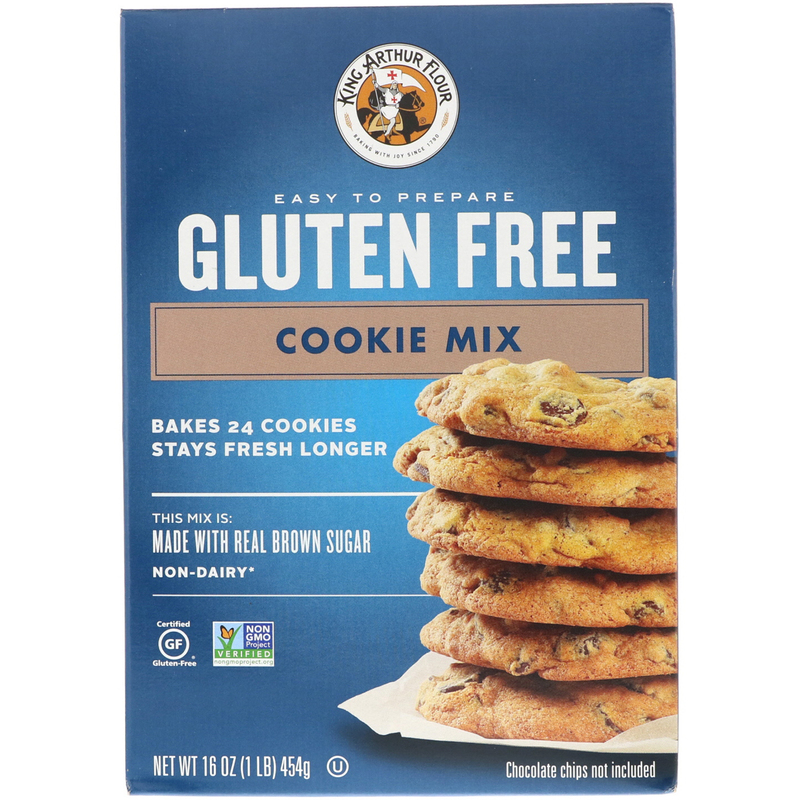 Mixes that make the finest gluten-free based goods around. Simple ingredients, reliable results, and deliciousness for everyone to enjoy! Specialty flour blend (tapioca starch, rice flour), cane sugar, brown sugar, whole grain brown rice flour, cornstarch, molasses (molasses, maltodextrin), natural vanilla flavor, salt, baking powder (sodium acid pyrophosphate, baking soda, cornstarch, monocalcium phosphate), baking soda. Do not eat raw mix, dough, or batter. *Amount in Mix. Prepared contributes an additional 40 Calories (35 Calories from Fat), 4 g Total Fat (2.5 g Saturated Fat), 20 mg Cholesterol, 1 g Protein.